Tecnam announced today that the European Aviation Safety Agency (EASA) had validated a major enhancement to the Tecnam P2010 4-seater general aviation aircraft approving the Lycoming IO390-C3B6 215 HP engine. The Lycoming IO390-C3B6 enables the P Twenty-Ten to climb at 1,100 ft/m and a maximum cruise at 146 kts. The IO-390-C3B6 provides 215 hp @ 2,700 rpm, coupled with a 3-bladed MT variable-pitch propeller. The P Twenty-Ten in its standard configuration is powered by the renowned 180 HP Lycoming IO-360 and has a high fuel capacity of 240lt, 63.4 US Gal. Tecnam is one of few OEM’s that are both able and capable to produce GA aircraft incorporating both metal and composite components. The state of the art Tecnam P Twenty Ten is now the most advanced and modern single engine trainer aircraft in the marketplace. Both versions, (180 Hp and 215 Hp), are equipped with Garmin’s innovative G1000 Nxi state-of-the-art avionics platform. The G1000 enables not only wireless cockpit connectivity but wireless database updates via Garmin Flight Stream resulting in enhanced situational awareness. Tecnam announced today that Seychelles based Zil Air has placed an order of a P2012 Traveller aircraft, and are in further talks of extending the purchase to a second aircraft in the following year. Zil Air is the premium provider of aerial limo services in the Seychelles and is renowned for offering its customers the ultimate in luxury and safety. The arrival into service of the next-generation 11 seat P2012 Traveller is much anticipated by many operators, who have been demanding a replacement for the many hundreds of ‘heritage’ aeroplanes in the FAR23/CS23 category currently in service around the world. “We are delighted with the number of orders and the wide range of customers we have received the eagerly anticipated P2012. This next- generation aeroplane will deliver to operators not only profits, but reliability, efficiency and off course passenger comfort” said Paolo Pascale, Tecnam’s CEO. “The Tecnam P2012 Traveller is the perfect aeroplane to help our business grow and enables us to meet the Seychelles’ tourism sector’s demand for affordable and reliable air access,” said Francis W. Savy, Zil Air’s Executive Director. Equipped with latest avionics from Garmin, the new G1000 Nxi and powered by two 375 HP Lycoming piston engines, the Tecnam P2012 Traveller will first see service as a passenger aeroplane with US based Cape Air in early 2019, but has been designed from the start to be a very versatile and flexible aerial platform, offering many multi role opportunities including Hydro, VIP, cargo shipping, parachuting and medevac services. Zil Air is expected to take delivery of its first P2012 in July 2019, and launch commercial operations later in the same year. Textron Aviation Inc., a Textron Inc. (NYSE:TXT) company, today confirmed an order for its best-selling Cessna Citation Latitude business jet, which is expected to deliver to a customer in Chile later this year. The order comes ahead of the Citation Latitude’s arrival at FIDAE 2018, which is being held April 3-8 at the Comodoro Arturo Merino Benítez International Airport in Santiago, Chile. In addition to the Citation Latitude, the company is displaying its commercial and defense products to include the Cessna Citation CJ3+, Cessna Citation M2, Beechcraft King Air 250, Cessna Grand Caravan EX and the Beechcraft T-6C military trainer. Textron Aviation’s presence within Chile and the broader region extends to service and support through its established channel partner, Servicios Aereos Y Terrestres Aviasur S.A.(Aviasur). A longtime channel partner with a proven history of strong customer focus on Citation, King Air and Hawker customers, Aviasur is in the process of adding Citation Latitude, Citation Sovereign and Citation CJ4 models to its existing authorizations, which is expected to be completed by the end of this year. Boeing (NYSE: BA) and Jet Airways today announced a new order for 75 737 MAX airplanes as India's premier international airline looks to the new and improved 737 jet to power its future growth. "Our new order for the additional 75 Boeing 737 MAX aircraft will allow us to deliver a differentiated and world class customer experience to our guests," said "Vinay Dube, Chief Executive Officer, Jet Airway. "This additional order reemphasizes our trust and confidence in Boeing and also reaffirms our commitment to operate extremely modern, reliable and fuel efficient aircraft as part of our fleet. Jet Airways' partnership with Boeing goes back 25 years ever since the airline was conceived and took to the skies. This order underscores Jet Airways' commitment to the growth and sustainability of the Indian aviation market"
Jet Airways announced its first order for 75 MAX airplanes in 2015 as part of a strategy to refresh its fleet with the most modern and environmentally progressive airplanes. The newest order adds 75 more MAXs to support the airline's future expansion. Jet Airways is set to take direct delivery of its first MAX airplane later this year. "We are honored that Jet Airways has again placed its trust in Boeing with its order for 75 more 737 MAXs," said Dinesh Keskar, senior vice president, Asia Pacific & India Sales, Boeing Commercial Airplanes. 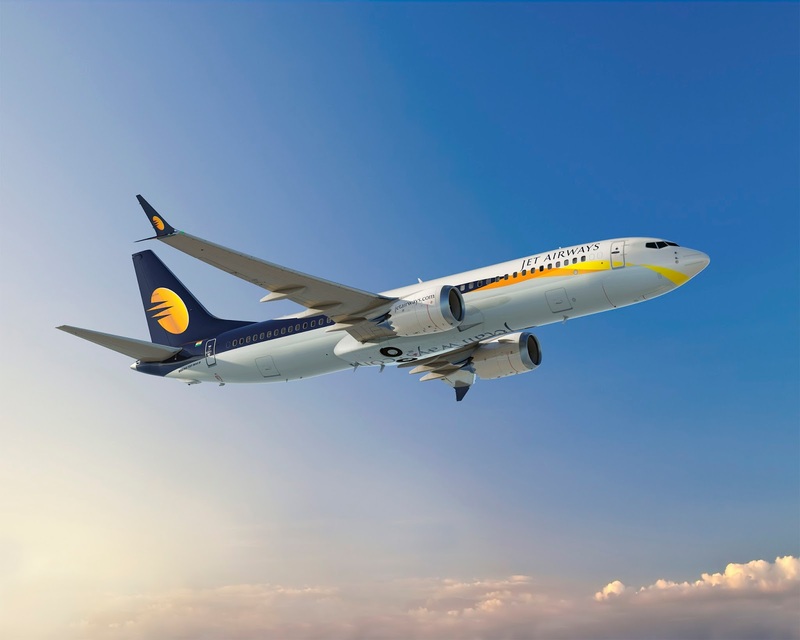 "These additional 737 MAX airplanes will help Jet Airways continue to be an industry leader by combining a superior passenger experience with reliable and efficient operations." The 737 MAX is the fastest-selling airplane in Boeing history, accumulating more than 4,400 orders from 96 customers worldwide to date. For more information and feature content, visit www.boeing.com/commercial/737max. Jet Airways is India's premier international airline, which operates flights to 65 destinations within India and overseas. Jet Airways' robust domestic India network spans the length and breadth of the country covering metro cities, state capitals and emerging destinations. Beyond India, Jet Airways operates flights to key international destinations in South East Asia, South Asia, Middle East, Europe and North America. The Jet Airways group currently operates a fleet of 120 aircraft, comprising Boeing 777-300 ERs, Next Generation Boeing 737s, Airbus A330-200/300s and ATR 72-500/600s. 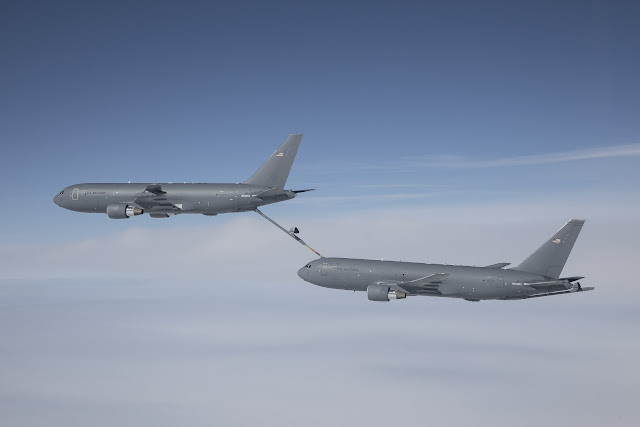 Boeing [NYSE: BA] recently achieved a major certification milestone following a successful refueling flight between two KC-46 tankers. The company's tanker program has now completed its required Supplemental Type Certificate (STC) fuel on-load testing. During the three-hour, forty-eight minute flight, a KC-46 successfully transferred 146,000 pounds of fuel to a second KC-46, while achieving the maximum fuel off-load rate of 1,200 gallons per minute. Both aircraft took off and landed at Boeing Field, south of Seattle. 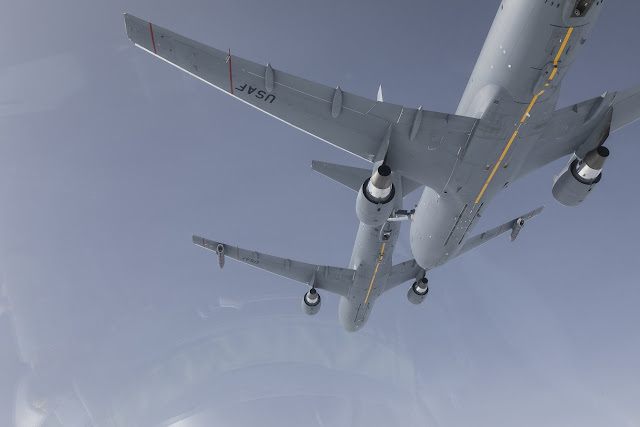 For its Federal Aviation Administration STC testing, the KC-46 demonstrated the ability to safely/effectively receive fuel from three other tankers -- KC-46, KC-135 and KC-10 aircraft. As part of the series of tests, KC-46 tankers took on 540,600 pounds of fuel and completed 68 contacts with refueling aircraft. When in service, the KC-46 will refuel U.S., allied and coalition military aircraft using its boom and hose and drogue systems, but also must be able to take on fuel to extend its operational range. The boom allows the tanker to transfer up to 1,200 gallons of fuel per minute, while the hose and drogue systems, located on both the plane's wing and centerline, enables the KC-46 to refuel smaller aircraft with up to 400 gallons of fuel per minute. A combined Boeing/U.S. Air Force team is currently working to complete the overall STC testing, which encompasses the military systems that are installed on the commercial 767-2C to make it a tanker. To date, the program's test aircraft have completed 2,700 flight hours and more than 2,500 contacts during refueling flights with F-16, F/A-18, AV-8B, C-17, A-10, KC-10 and KC-46 aircraft. Se mostrarán sistemas micro, de ala fija, multirrotores o antidrones. Las bases “Virgen del Camino” y “Conde de Gazola” serán el escenario de estas demostraciones. 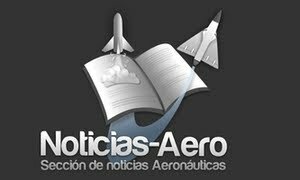 UNVEX S&D 2018 incluirá el vuelo de más de una docena de RPAS de diferentes tipos entre sus actividades. Las dos sesiones previstas para las demostraciones se desarrollarán durante las tardes de los días 29 de mayo, en la Base Aérea “Virgen del Camino”, y del 30 de mayo, en la Base Militar “Conde de Gazola”. Más de una docena de compañías ya han reservado slot para mostrar sistemas que van desde el micro Black Hornet a los tácticos de ala fija como el Fulmar, Atlantic o Tarsis, pasando por multirrotores y pequeñas plataformas como Tucán, Mantis o Shepherd. Junto a estos RPAS también se exhibirán los más novedosos sistemas antidrón, capaces de neutralizar la amenaza que suponen, especialmente, los pequeños drones comerciales. Estas exhibiciones prometen marcar un hito en el sector, convirtiéndose en la mayor demostración de RPAS celebrada hasta la fecha. 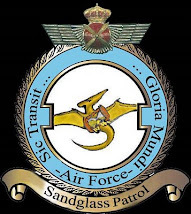 Todo esto en unas instalaciones dotadas de todo lo necesario para el vuelo de los RPAS y con unas condiciones óptimas para la seguridad en las Base Aérea “Virgen del Camino” y en la Base de UAS de “El Ferral”. En ambas bases militares, una gran pantalla mostrará la navegabilidad y las capacidades de vuelo de las aeronaves, así como la información que proporcionen sus sensores y cargas de pago. Un reto que las empresas diseñadoras y fabricantes afrontan en un momento decisivo para su futuro y ante una audiencia profesional con experiencia. DroneUp, an online platform promoting continuous education and safe operations for professional and enthusiast drone pilots, today announced it has enabled LAANC (Low Altitude Authorization & Notification Capability) available on its operating platform, through AirMap LAANC Deep Linking. The accessibility follows a recent announcement by the Federal Aviation Administration (FAA) to expand the LAANC program to airports and airspace nationwide. As an industry leader in training, flight safety and pilot communication, DroneUp has been working to offer LAANC and other essential compliance and regulatory features to their pilots since late 2017. Today’s announcement underscores DroneUp’s commitment to both professional and enthusiast drone pilots. “We are committed to continuous education and safe operations and excited to add LAANC so our community will have more opportunities to build drone businesses and fly missions,” said Tom Walker, CEO of DroneUp. DroneUp is the only community-based organization solely committed to promoting safer skies through continuous engagement with both amateur and professional drone pilots. Beginning in April, the FAA will roll out digital airspace authorization to nearly 300 air traffic control facilities representing approximately 500 airports across the United States, opening up to 78,000 miles of airspace for commercial drone operations. With LAANC access, DroneUp customers can request fast and efficient airspace authorization to fly in LAANC-enabled airspace. Compared to the manual waiver process, which has 19 steps and takes up to 90 days to process, digital airspace authorization via LAANC is easy, digital, and available immediately. Authorization requests are submitted within the DroneUp app and approved in seconds. Drone operators can apply for two types of authorization with DroneUp: automated authorization for flights within pre-approved zones and altitudes, and manual authorization for flights outside of pre-approved zones and altitudes that require manual approval by ATC. Users will be able to link their AirMap accounts to their DroneUp accounts allowing simple sign-on and API interactions as that user. “When in an area that supports LAANC authorizations, we notify the pilot during the DroneUp process that it is available,” said John Vernon, Chief Technology Officer of DroneUp. “If the pilot has already linked an AirMap account, we push him or her directly into the AirMap app (or to App Store / Google Play store if it is not currently installed). We pass in distance and height so that the pilot doesn’t have to repeat the data entry. After completing the process in the AirMap app, the pilot is returned to our app and are DroneUp. When they go DroneDown, we end the flight. If for some reason they do not go DroneDown, the flight will timeout on our end and AirMap will automatically close the flight.” Airspace rules and advisories are provided by AirMap with DroneUp providing additional information about nearby pilots and operations as well as pilots that are currently DroneUp based on their proximity grid. The expansion will begin in April, with the FAA releasing a new region each month. Drone pilots near select airports in Alabama, Arizona, Arkansas, Illinois, Kansas, Louisiana, Mississippi, Missouri, New Mexico, Oklahoma, and Texas will be first to get started with LAANC authorization this spring. For more on the program from the FAA, visit their website here. US orbital launch provider Rocket Lab has today confirmed it will open a 14-day launch window this month to conduct the company’s first fully commercial launch. The mission, named ‘It’s Business Time’, includes manifested payloads for Spire Global and GeoOptics Inc., built by Tyvak Nano-Satellite Systems. The 14-day ‘It’s Business Time’ launch window will open on Friday April 20, 2018 NZT. During this time a four-hour launch window will open daily from 12:30 p.m. NZST (00:30 UTC). ‘It’s Business Time’ will launch from Rocket Lab Launch Complex 1 in New Zealand. Licensed to launch every 72 hours, Rocket Lab Launch Complex 1 is the world’s only private orbital launch facility. Rocket Lab is the only private, dedicated small launch provider globally that has deployed satellites to orbit. ‘It’s Business Time’ marks the fastest transition a private launch provider has made from test program to fully commercial flights. This mission follows just three months after Rocket Lab’s January 21, 2018 launch “Still Testing”, which successfully deployed an Earth-imaging satellite for Planet and circularized the orbit of two weather and AIS ship tracking satellites for Spire Global using Rocket Lab’s in-house designed and built kick stage. “It’s Business Time represents the shift to responsive space. We always set out to create a vehicle and launch site that could offer the world’s most frequent launch capability and we’re achieving that in record time,” said Rocket Lab founder and CEO Peter Beck. “Rocket Lab is the only small launch provider that has reached orbit and delivered on promises to open access to space for small satellites. We can have payloads on orbit every 72 hours and our rapidly expanding manifest shows this is frequency is critical for the small satellite market,” he added. Rocket Lab can achieve an unprecedented launch frequency thanks to a vertically integrated vehicle manufacturing process that enables Rocket Lab to roll an Electron vehicle off the production line every week. To meet a burgeoning 2018/19 launch manifest, Rocket Lab has rapidly scaled production of the Electron launch vehicle across its three-acre headquarters and production facility in Huntington Beach, California. The company will produce 100 3D printed Rutherford engines this year to support a monthly launch cadence by the end of 2018. 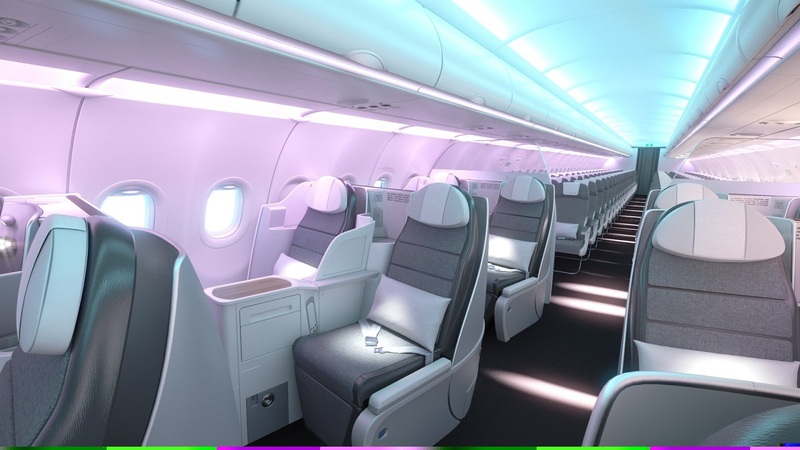 Airbus showcases its new cabin innovations at this years’ Aircraft Interiors Expo in Hamburg, Germany – the world’s largest event dedicated to the aircraft interiors industry, in-flight entertainment, connectivity and passenger services. The stand this year (Hall B5, Stand 5A20) is Airbus’ largest ever at AIX – around 550m². Here the domains of Airbus Commercial Aircraft, Services by Airbus and Airbus Interiors Services (AIS) are integrated at one prominent location at the expo. In terms of Airbus Commercial highlights, the centrepiece at this year’s event is our latest A320 Airspace cabin mockup. This will feature a welcome area with patterned lighting effects, full-flat seats, Airspace XL bins and a lavatory, and will give visitors a good appreciation of the high comfort which our new transatlantic-capable A321LR will enable passengers to experience when it enters service in the near future. A second large mockup at the Airbus stand demonstrates Airspace in a partial A330neo cabin section. There are numerous visual displays at the Airbus stand and 3D-printed models of cabin enablers and galley arrangements plus other innovations. One can also explore all Airbus aircrafts’ Airspace cabins in full 3D virtual reality. Furthermore, visitors can try out our new “A320 Plane it yourself” digital cabin and systems configurator, as well as the innovative “I flyA380.com” kiosk. Meanwhile, Services by Airbus, co-located at the Airbus stand, is displaying its A320 mock-up providing an overview on the latest solutions for in-service single-aisle fleet, as well as its latest A330 cabin enablers for retrofit. In addition, the “Day & Night” premium dual suite module from AIS is demonstrated for the first time in full-scale mockup form for A350 customers. This year Airbus is proud to have been shortlisted four times in the prestigious Crystal Cabin Awards for the following achievements: The A320 Family Airspace Interior; a new “Printed Electrics” / “Info-Panel” (in cooperation with Altran); Gigabit Wireless Networking in Aircraft Cabins via “Light-Fidelity” (LiFi) – with the University of Edinburgh; and the "Day and Night" new cabin premium class product (offered by our subsidiary AIS). The Crystal Cabin Awards ceremony is held on the evening of Tuesday 10th where the winners will be revealed. As well as the opening Airbus cabin Media Briefing & exhibit tour on Tuesday morning, journalists are also invited to contact us to arrange one-to-one cabin mock-up / demo tours plus expert interviews throughout the three days of the show. We are delighted to report on a major step forward for Virgin Galactic today, as SpaceShipTwo VSS Unity safely and successfully completed her first supersonic, rocket-powered flight. After two years of extensive ground and atmospheric testing, the passing of this milestone marks the start of the final portion of Unity’s flight test program. The flight was also significant for Virgin Galactic’s Mojave based, sister manufacturing organization, The Spaceship Company. Unity is the first vehicle to be built from scratch for Virgin Galactic by The Spaceship Company’s talented team of aerospace engineers and technicians. They were justifiably proud today to be a part of this compelling demonstration of their capabilities in action. VSS Unity benefits from all the data and lessons gathered from the test program of her predecessor vehicle, VSS Enterprise. Today’s flight saw an envelope expansion for the program as a whole in terms of rocket burn duration, speed and altitude achieved. VSS Unity took off this morning into clear Mojave skies at 8:02am with Mark “Forger” Stucky and Dave Mackay in the cockpit, attached to the WhiteKnightTwo carrier aircraft, VMS Eve, piloted today by Mike Masucci and Nicola Pecile. The mated vehicles climbed to a launch altitude of around 46,500ft over the Sierra Nevada Mountains and while pointing back at Mojave, Eve executed a clean release of Unity. After a few seconds, Unity’s rocket motor was brought to life and the pilots aimed the spaceship upwards into an 80 degree climb, accelerating to Mach 1.87 during the 30 seconds of rocket burn. The hybrid (nitrous oxide / HTPB compound) rocket motor, which was designed, built and tested by The Spaceship Company, powered Unity today through the transonic range and into supersonic flight for the first time. On rocket shutdown, Unity continued an upwards coast to an apogee of 84,271ft before readying for the downhill return. At this stage, the pilots raised the vehicle’s tail booms to a 60 degree angle to the fuselage, into the ‘feathered’ configuration. This unique design feature, which is key to a reliable and repeatable re-entry capability for a winged vehicle, incorporates the additional safety mechanisms adopted after the 2014 VSS Enterprise test flight accident. At around 50,000ft, the tail-booms were lowered again and, while jettisoning the remaining oxidizer, Unity turned towards Mojave for the glide home and a smooth runway landing. The flight has generated valuable data on flight, motor and vehicle performance which our engineers will be reviewing. It also marks a key moment for the test flight program, entering now the exciting phase of powered flight and the expansion to full duration rocket burns. While we celebrate that achievement, the team remains focused on the challenging tasks which still lie ahead. Congratulations to our teams at Virgin Galactic and The Spaceship Company for a job well done today - and in recognition of their pursuit to open space and change the world for good.